As I sit here in a cold and blustery Winnipeg, I can't help but think back to the week long mountain biking adventure I embarked on a little over 3 weeks ago. That was when Captain Craig gave me a call on a Friday night asking if I was keen to do the Cape Epic. Not the 2014 edition, but the 2013 edition, starting in a mere 8 days time. Team HotChillee Infinity had lost a member with The Bull being laid low by an ill timed bout of pneumonia, and I was being asked to fill some rather large shoes (and some rather small kit - more about that later). The Cape Epic is the pinnacle of mountain biking not only in South Africa but worldwide, and before my brain had time to fully process Captain Craig's request, my heart had already answered - it's not everyday that an opportunity like this comes around. While my brain was calculating the various ways that I could possibly die in the forthcoming week, my stomach was quickly filling with butterflies. I'd missed these Epic nerves, the doubt, the worry, the uncertainty. And unlike most participants, I didn't have months of training to fall back on, the only thing I had was Captain Craig's belief that I was a capable substitute to The Bull. Before my heart got too carried away though, my brain did manage to insert one rule into the deal - we ride this Epic conservatively at my pace, with no expectations. 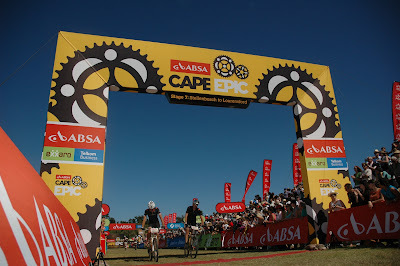 The only hurdle remaining for my participation in the 2013 Cape Epic was to get the boss's approval. My wife and I had just bought a house and were due to move during Stage 6. I can't remember exactly what I promised, but I am completely indebted to her. The remaining 8 days were a whirl of activity and action. The Fun Ride World Championships was no longer my season highlight and once I'd successfully navigated the 109kms of danger around the Cape Peninsula, all my focus was on getting ready for the Epic. I have a stage race bible specifically geared towards the Epic that DaisyWay Coaching put together after my first Epic. 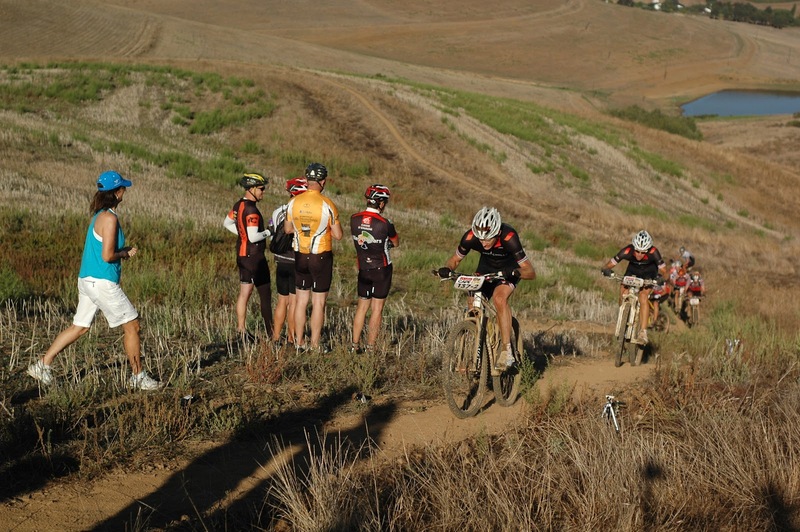 It serves as a checklist and refresher on what to expect, what to pack, and how to prepare for an 8 day bike race. On the training front, I managed to squeeze in two rides, totaling about 90 minutes. 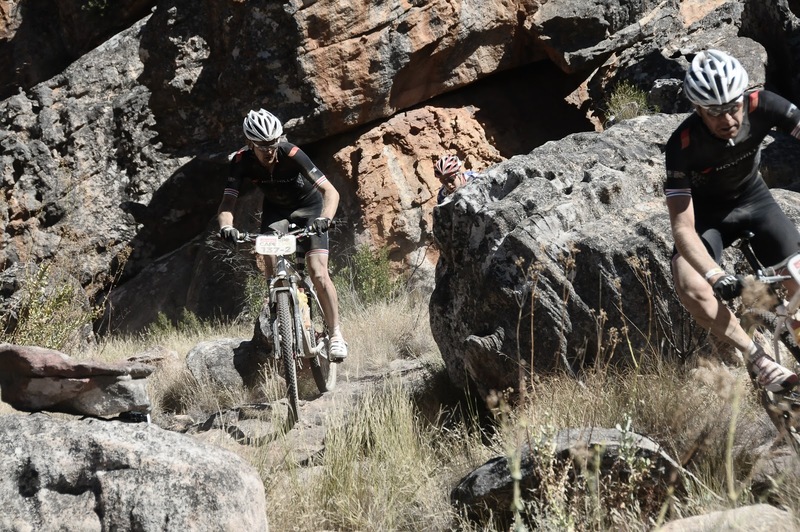 In reality, while I don't think those rides made any difference to my fitness, their real purpose was to give me some time to mentally get my head around my upcoming ordeal, away from the hustle bustle of work and life. Pure me time. I turned the rest of the stage race bible on it's head too - I bought new shoes and gloves with 5 days to go, I got my bike serviced with 3 days to go(a big thank you to William's Bike Shop - despite it being the busiest week of the year for bike shops in South Africa, you guys didn't blink when I brought in my attention needing bike), I got my fantastic looking but ill fitting HotChillee cycling kit the night before, and Captain Craig and I were still busy with shuttles to the local garage to get our new Continental tyres to seal mere hours before our 7:40am Prologue start at Meerendal. Being part of the HotChillee Epic adventure came with several benefits - apart from the opportunity to meet, chat and interact with Stephen Roche (my roadie roots were in heaven just listening to some of his tales of life in the pro peloton) - we got to experience the organizational skills and support that have made HotChillee famous, which gave me time to frantically organise my life in the remaining days before our adventure began. In addition to the people working behind the scenes, we had real life soigneurs in the form of Hazel and Tony, and physiotherapist Jayne to look after us during the event. This was going to be an Epic like no other. We were also amazed by the support from friends and family, from the opening of homes, to wishes of good luck - all helping to offset the doubts that kept running through my mind. Who said the Prologue was going to be easy! Race day eventually dawned, and Captain Craig and I blitzed the Prologue course in and around Meerendal in a rather disappointing 116th place. Despite our no expectations rule, we were both a little surprised - we'd ridden hard and had expected a better result. Our loosely agreed upon goal of top 100 seemed almost unattainable. Clearly the level at the Epic had been raised since we last had ridden it. With the Prologue behind us, the 3 HotChillee teams convened at The Hammond House for a post ride massage, some final packing and some snacks before heading off to Citrusdal, where the real Epic awaited us (in reality, it was more like the HotChillee teams gate crashed a family Sunday lunch, left a whirlwind of chaos in our wake, and left when the food ran out but before we had to do the dishes). 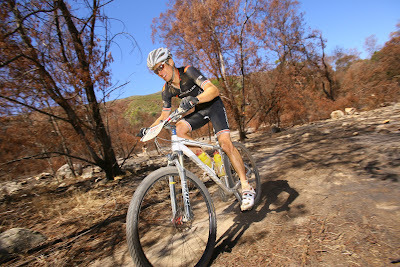 Every year at the Epic there is a stage that polarizes the riders, and in 2013 Dr Evil wasted no time in getting that stage out of the way. Stage 1 was tough. It was sandy. It was hot. But this is the Epic, and we didn't expect anything less. Sticking to our one and only rule, we started right at the back of our bunch and stayed there for the first hour while we watched the cyclists around us taking unnecessary risks in an attempt to move up a place or two. By the time we made the first water point we had already gained several places - not because we were riding fast, but because those around us were riding like fools. We passed people with who had started too fast and blown, people with punctures, broken wheels and broken bones. 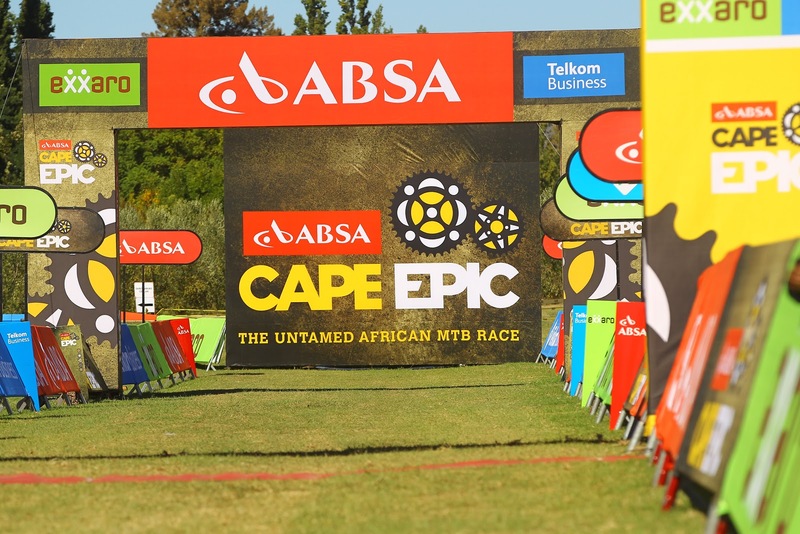 You can't win the Epic on Stage 1, but you certainly can lose it. One of my few mountain biking skills was also coming in very handy - the ability to ride soft sand. That's not to say we didn't push our bikes - we did. For hours. When you see the tiny frame of Catherine Williamson doing the same but with blood oozing down her arm from a nasty looking gash we couldn't really complain. We're all in this together, we're all suffering, we're all pushing machines that were invented for riding. And this is exactly what most of the 1200 participants have been focussed on for the last 6 months (Tennis Playing Pete and myself excluded). This was why we do the Epic. This is what makes that Epic medal stand out from the medal you get from the ride hosted by the local charity around some flat manicured course you've ridden a thousand times. Why we do the Epic. At water point 3 the announcer mentioned something about only 66 teams having made it this far. We couldn't believe it. Suddenly the message from Jayne to slow down and ride the Epic as an 8 day race made sense. We were flying. We were now doing better than we had ever expected. How could this be? We weren't riding hard. We were just two guys on bikes having fun, doing our thing, riding to our only rule. For years people had been telling us that to ride well at Epic you needed to ride conservatively, and in the naivety of youth we'd always dismissed their advice as old-timer stories from people who were out of touch with modern bike racing. Perhaps they'd been right all along. We finished the day in 63rd place - one of our best performances at the Epic to date in our third attempt at riding together. It all felt so surreal, so dreamlike, a feeling that would continue to grow each day. 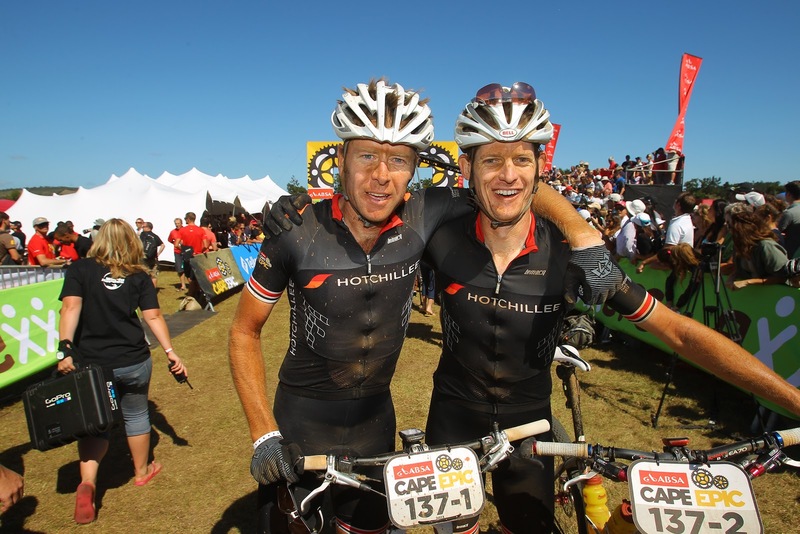 The 3 HotChillee teams were decked out in cycling kit from Lemarq - designed especially for the 2013 Cape Epic. While we looked fast and professional, there were two slight oversights. Firstly, the sizing. Over the years I've learned that to get a figure hugging aero cycling top in South Africa I need to wear a small, so it was with a little trepidation that I tried on my medium HotChillee top. To call it figure hugging would be polite. I had to open the zip just to breath it was so tight. There was absolutely no room for weight gain or water retention in this kit. 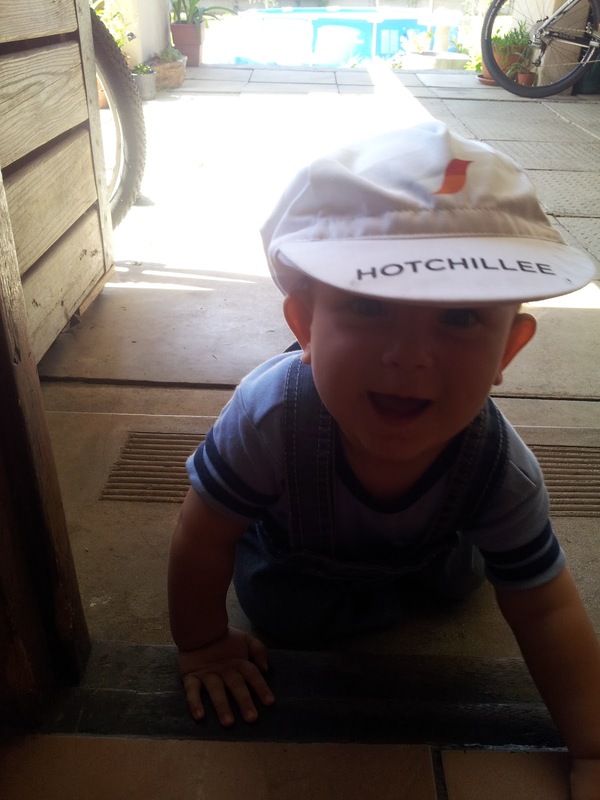 The second oversight was as a result of an attempt to keep the black HotChillee kit as cool as possible. Large semi transparent breathable sections were used on the rear of the shirts. Fantastic for riding in the African heat. Not so fantastic for riding in the African sun. After Stage 1, most of the HotChillee riders were sporting what I like to call Angel Wings. 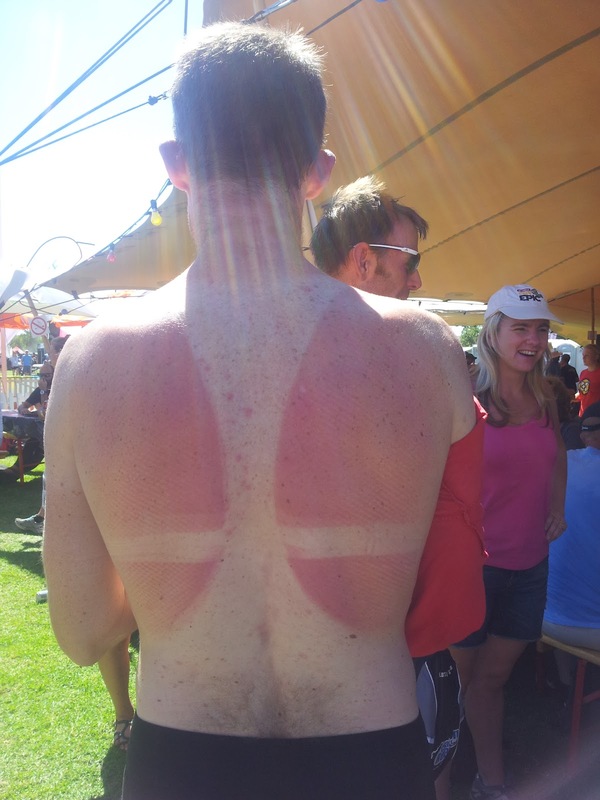 I made a mental note to include putting sunscreen on my back in my pre stage preparations after that. 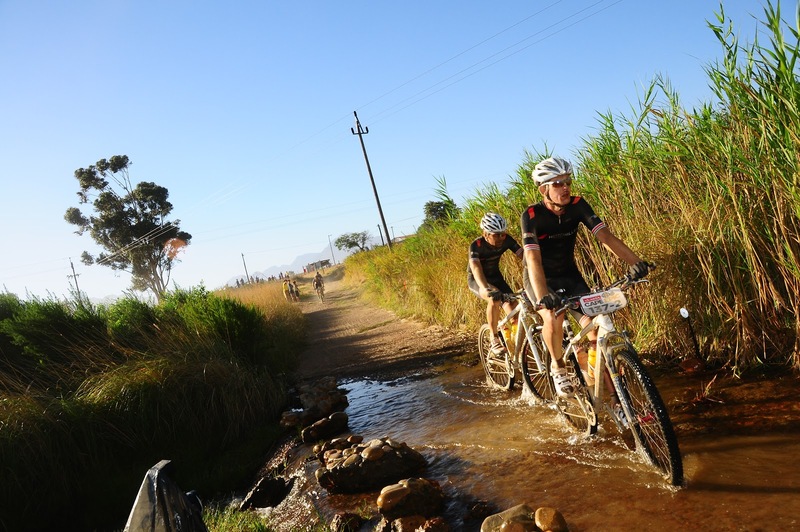 Stage 2 was a transitional stage, a way to get from Citrusdal to Tulbagh via dirt roads and orchards. I would have consigned it to my long list of unremarkable Epic stages if it were not for two sections. 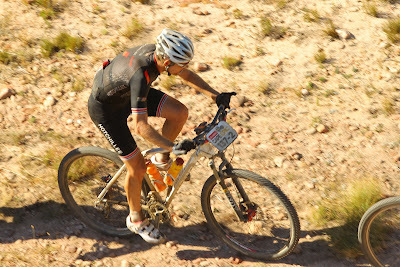 The first being some meandering single track cut into a saddle between two mountains. 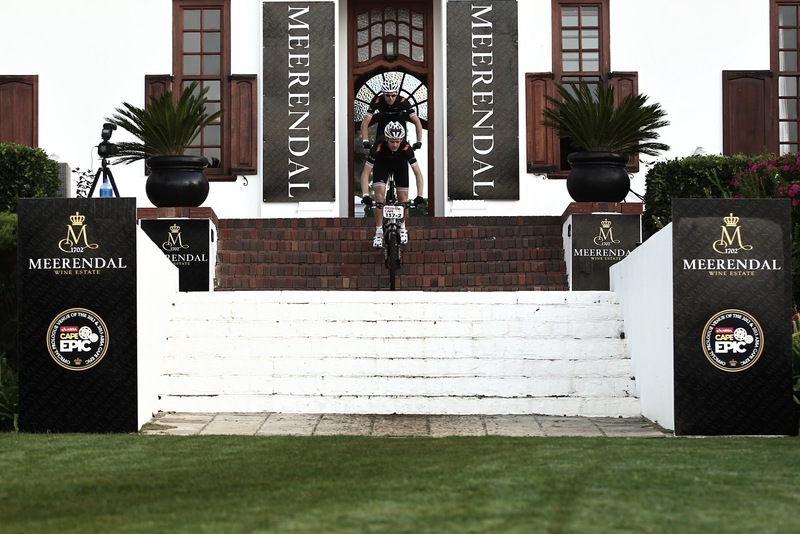 It broke the mould for the entire day’s riding - it served no purpose other than to bring a smile to the faces of the riders. We zigged and zagged, bobbed and weaved, around boulders, through gorges, over rocks, in the middle of the Koue Bokkeveld, with no other sign of human life for as far as one could see. 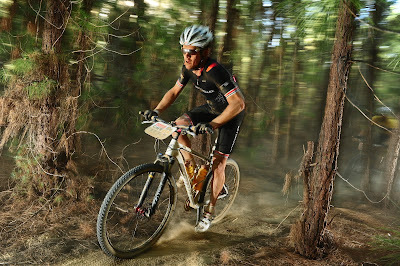 The second section was the crazy scary descent into Tulbagh - a 15km long technical downhill that scored a near perfect 10 on the smile-o-meter. I felt sorry for the people who walked sections of the Prologue - they were going to be in for a long day of hike-a-biking. 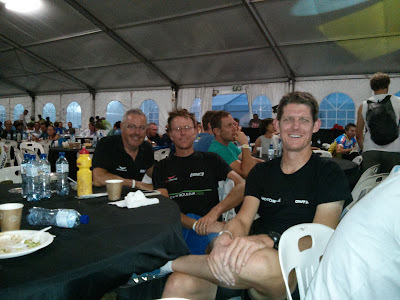 Despite our general indifference to the stage, we finished in 69th place. The great thing about being part of a group of teams is the comradery. 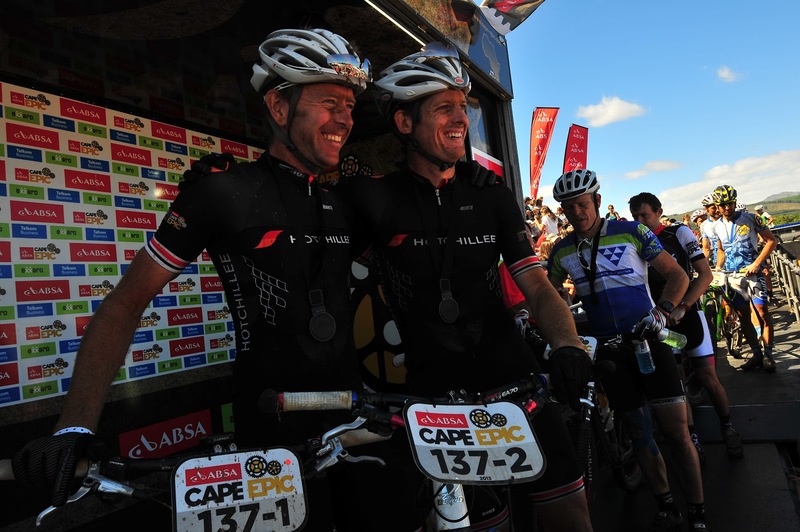 Here was HotChillee’s founder Sven doing his first Epic along with roadie and Triple Crown winner Stephen, who had only been on a mountain bike 3 times before the start of the 2013 Cape Epic, and they were having a ball. Sharing our Epic experiences each day helped us forget about the bad bits, and remember the good ones. 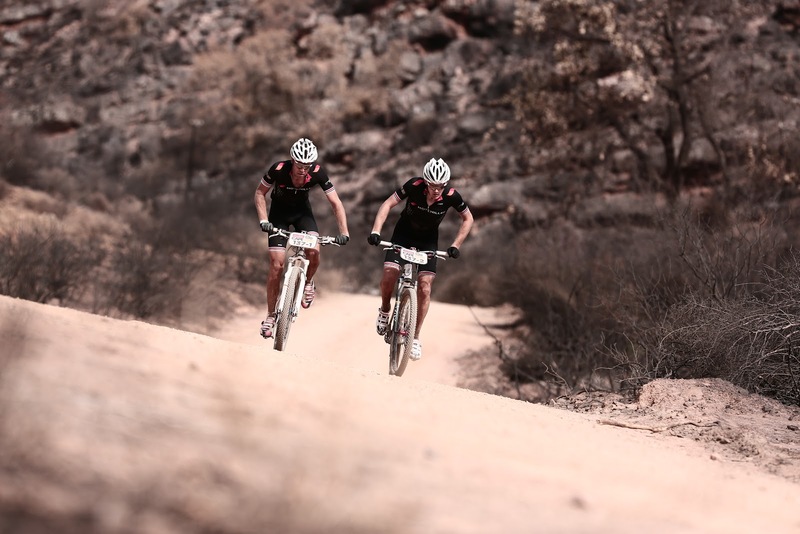 Stages 3 and 5 were virtually carbon copies of each other, loops around town that went in search of the best mountain biking each area had to offer. Despite being significantly shorter than the transitional stages, I found them far tougher. In a good way. They suited our rule way better and we were able to do our own thing without being sucked along in the excitement and testosterone of the bunch. I was able to get my diesel engine going, steadily tapping out a pace as Captain Craig adopted the rather new and unfamiliar position of riding behind me. Slowly but surely The HotChillee Express would move through the field, catching and passing teams we’d waved goodbye to several hours previously, and in the process dishing out a psychological blow to any resistance that remained. 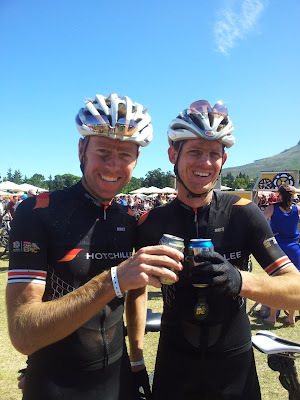 We finished those stages in 51st and 58th place respectively - again, beyond our wildest dreams. At the back of my mind I had this nagging question - when was it all going to come crashing down? Like any marriage there are always ups and downs, and Stage 4 was divorce day. Another transitional stage of 121kms. Right from the start Captain Craig was pushing my buttons. We were going too fast, chasing wheels, and I was riding outside of my comfort zone. While I can ride there for a bit, I knew I was going to pay for any excess effort in 3 or 4 hours time. This wasn’t the plan. It wasn’t what we’d spoken about. If looks and thoughts could kill, Captain Craig would have been in a ditch at the side of the road very early on. After some harsh words and some marriage counseling, Team HotChillee Infinity had patched things up sufficiently and we reverted back to the plan. Slow and steady. Ride our own pace. Ignore everyone else. As we wound our way towards Wellington, things started to fall into place and the early morning argument started to fade from my memory. We were passing teams again, moving through the field, inflicting psychological hammer blows all over the place. Over Bain’s Kloof and into the single track of Welvanpas, Captain Craig on my wheel. Despite the early difficulties, we finished the stage in 54th place, the dream still was alive, and getting more and more surreal as each day passed. 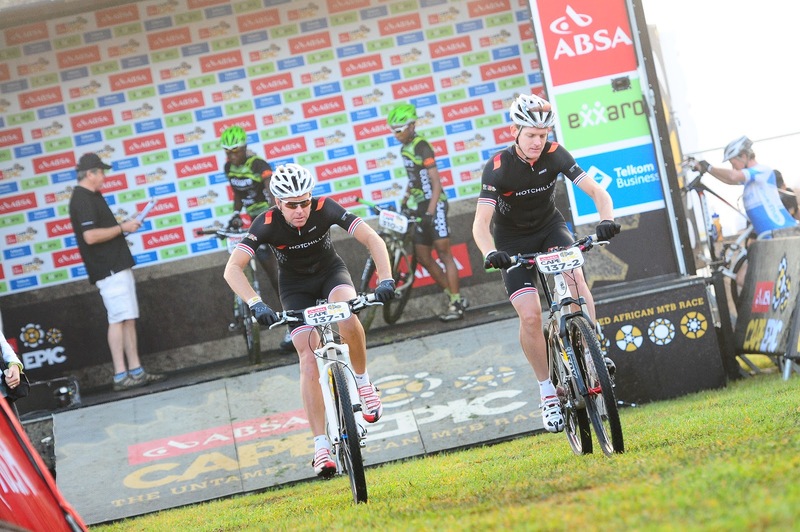 For the first time, I dared to think about the finish in Lourensford. Stage 6 was billed as the Queen stage for the 2013 Cape Epic. A 100km transitional stage from Wellington to Stellenbosch with 3000m of climbing. As a one day event this would be tough, let alone on legs that had already ridden 5 long gruelling stages. The air of trepidation hanging over the race village was almost palpable. Survive this stage and that Epic medal was virtually guaranteed. Right from the start I was in a very bad place. My lack of training was finally catching up with me, and while we were making good progress, I was heading deeper and deeper into unknown. Up until now I’d briefly encountered The Hand of Shame on my back as Captain Craig would gently push and nudge me along, but today I wholeheartedly embraced it. 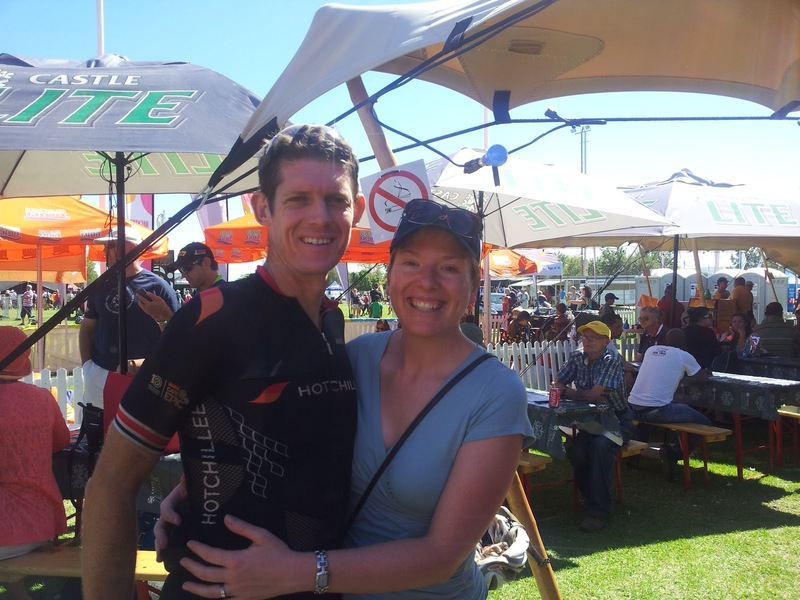 The Team HotChillee Infinity marriage was once again rock solid. 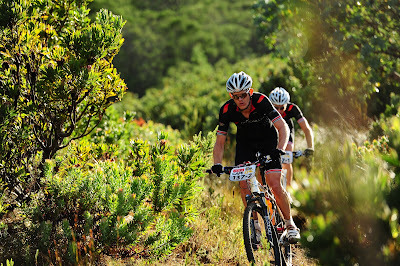 Apart from 25 minutes in the middle of the stage, I remained firmly entrenched at the back of my pain cave. In attempt to get more power to my legs, parts of my brain were shutting down - I was reverting to head nods and hand signals as a means of communication, and despite the massive amounts of support Team HotChillee had on the side of the road yelling our names, my facial recognition centres had completely shut down. To all those supporters - I have no idea who you were, but your shouts of encouragement went a long way to preventing me from adopting the fetal position under a bush, wishing the torment would end. That, and the thought that as much as I was suffering here towards the front of the race, how would the other HotChillee team of Jan and Alan be coping? In comparison, I’m sure I was getting the magic carpet ride. Despite the hardships of the day, we finished with another amazing result - 53rd - which just reaffirmed that I possibly wasn't the only person out there suffering. That was confirmed when the leading women’s duo crossed the line with Yolande Speedy (we went to school together) sporting a broken clavicle and two broken ribs. Time for me to man up a little. With one stage to go, there was suddenly talk of a top 50 finish. This was completely against the rule that had got us this far. We were lying in 52nd place overall with a short 54km stage remaining. I doubted we could make up the 5 minutes required, and instead convinced Captain Craig to settle for just beating the team ahead of us - Team Loutrans - with whom we’d done battle before at the TransBaviaans and come off second best. One thing counted in our favour - we were now riding on my local training routes - we’d need any advantage we could get. Right from the start the racing was furious - my heart rate was the highest it had been since the Prologue, and looking back, I whacked several of my personal best’s on Strava. And that was even before The Hand of Shame made it’s appearance. We passed Team Loutrans very early on and now my sole objective was to get to Lourensford - my driving motivator being a bath in the Victorian bath in our new house. 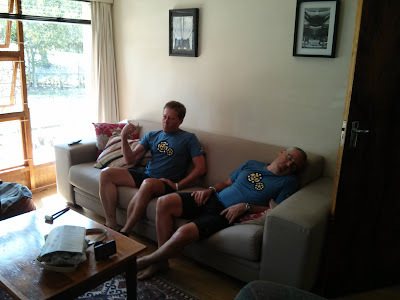 Retrospectively, I should have noticed it but at the time I was too focussed on the bath - Captain Craig had merely paid lip service to the agreed upon plan and was doing everything in his power to get me up the hills and closer to that mythical top 50 finish. He pushed and pulled and encouraged me every inch of the way, and despite a rather nasty fall almost within sight of the finish, used every ounce of energy he had left to get us across the line as quickly as we could go. All I wanted was that bath. As we crossed that line we couldn’t afford to celebrate just yet. When Team Loutrans eventually made an appearance 5 minutes later I thought that was it. The Epic was over. We’d ridden a fairy tale of a ride, had a ball of a time doing so, and hung out with the best teammates and support crew one could hope for. What could be better than that? And then Captain Craig got the SMS - our daily update on our placing. 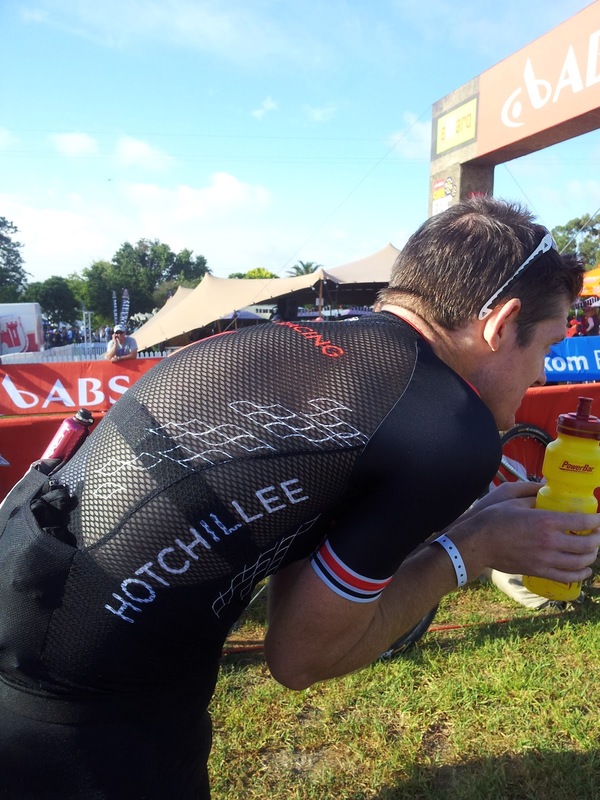 Team HotChillee Infinity had finished the stage in 59th place, but more importantly, we were 50th on the general classification. It’s not often that a fairy tale has a fairy tale ending. To all the people at HotChillee that made this ride possible - thank you. To the (often faceless) supporters, family and friends that cheered us on along the way, that sent us messages of encouragement and support - every little bit helped us through, especially during the darkest moments. To the other HotChillee riders - well done on a fantastic ride, and thank you for the camaraderie and conversation - it was an inspiration having you guys around. 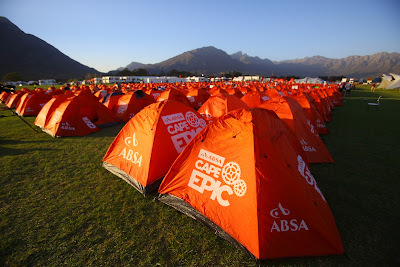 To our support crew - thank you for indulging our every whim, for tolerating our porridge brains, and for enduring some rather dodgy camping conditions, all in the name of making our lives easier off the bike. You guys are the real champs. To Captain Craig, thanks for that phone call, and for getting me through this adventure, Hand of Shame and all. Lastly, to the friends that helped my wife move house - we’ve named the rooms in our house after each of you and you're welcome to stop by anytime - thank you. 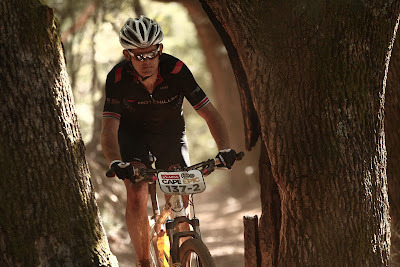 Awesome post, congrats, and best regards from Stellenbosch!